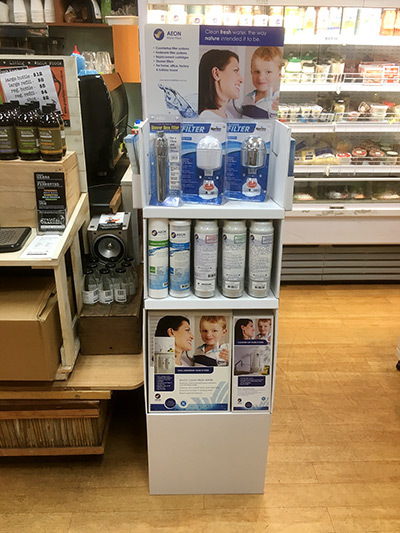 The following stores below are currently selling our range of Counter Top and under sink filtration systems, replacement cartridges and shower filters. Feel free to drop in and have a look at the range. Sunnybrook Health Foods – 553A North Road, Ormond 3204 – Phone:(03) 9578 6400. Home to garden is one of Aeon Water Filters preferred installers in the bayside & western suburbs of Victoria. They are also registered green plumbers. Phone: (03) 9589 4689 – Click here. Aeon Water Filters makes the following links available to you for informational purposes only. Victorian State Government’s site committed to educating the public and industry on how to save this valuable resource – Click here. Find out how these systems work to improve the quality of your household or commercial drinking water – Click here.